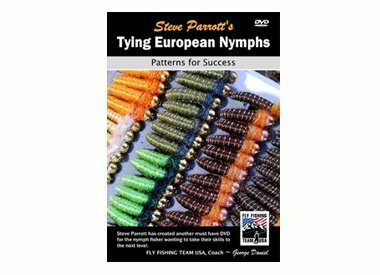 The third installment from Steve Parrott that will have you tying European Style nymphs like a pro!!! Utilizing the patterns, tips and techniques in this 3 hour and 40 minute DVD will bring new life to your existing patterns and hopefully inspire you to create your next ''go-to'' fly. This DVD is broken down in to four segments, Grub/Czech Patterns, Micro Nymphs, Jigs and Bonus patterns which you can easily navigate to each pattern, play and then return to the menu or category to watch another one.